The Chart shown here is a 9 day hourly chart. 4303 and trending downwards if we are manage to trade below 4117 for couple of hours. any trade above 4303 will target 4450. The Current Swing Low is near 4117. 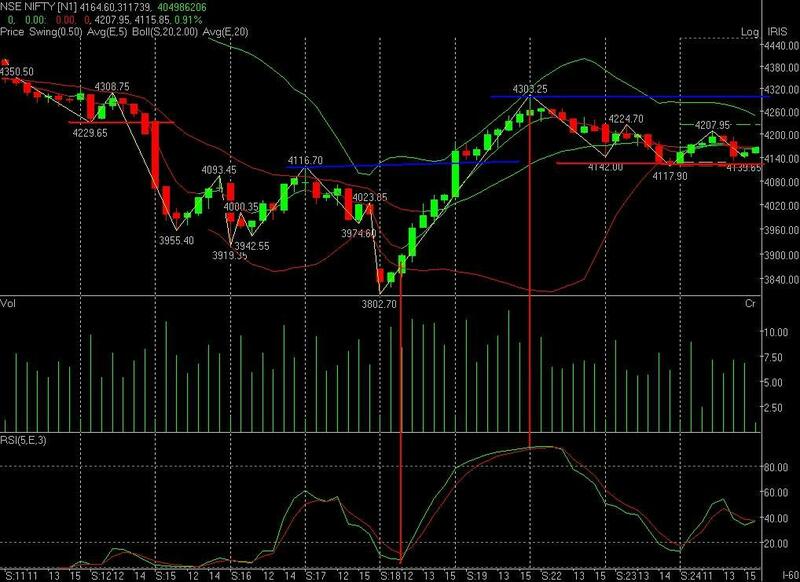 Any trade below 4117 in nifty will target 4000 levels and almost no support below 4117… so even it may take to 3800 levels. What is the RSI settings in above chart ? What is settings like (5,E,3). because I am new in technical trading.